^ Malkah Fleisher. 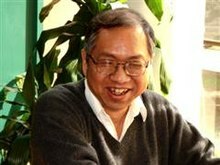 Winners of Prestigious Wolf Prize Announced （英语）. ^ 吴伦霓霞. 迈进中的大学: 香港中文大学三十年. 香港: 中文大学出版社. 1993: 68. ISBN 9789622016057 （中文（香港）‎）. ^ Department of Mathematics faculty. 哈佛大学 （英语）. ^ Overbye, Dennis. Scientist at Work: Shing-Tung Yau The Emperor of Math. The New York Times. 2006年10月17日 [2013年9月14日]. He became a United States citizen in 1990. ^ 国际数学大师迷倒广州学生 对中学管理体制提出独到看法. 新浪新闻. 2004年12月25日 [2013年6月16日] （中文（中国大陆）‎）. ^ 丘成桐大学生数学竞赛. 清华大学丘成桐数学科学中心. [2018年5月6日] （中文（中国大陆）‎）. ^ 7.0 7.1 7.2 7.3 7.4 7.5 丘成桐：什么才是对中学生最重要的？. 中国海外交流协会. 2016年5月3日 [2018年5月6日] （中文（中国大陆）‎）. ^ YAU, SHING-TUNG (php). International Center for Scientific Research. [2009年1月1日]. ^ John J. Carty Award for the Advancement of Science. United States National Academy of Sciences. [Jan 1, 2009]. （原始内容存档于2010-12-29）. ^ Distinguished Leaders to be Awarded Honorary Doctorates (pdf). The Hong Kong University of Science and Technology (HKUST). August 26, 2004 [Jan 1, 2009] （英语）. ^ 国立中央大学名誉博士颁授. 国立中央大学. [2004年1月1日]. （原始内容存档于2009-07-01） （中文（台湾）‎）. ^ 著名数学家丘成桐获浙江大学名誉博士学位. 浙江大学. 2003年3月25日 [2009年1月1日]. （原始内容 (php)存档于2011-07-21） （中文（中国大陆）‎）. ^ 丘成桐受聘西北大学名誉教授 (shtml). 中国科学院. 2009年7月15日 [2009年1月1日] （中文（中国大陆）‎）. ^ 樊鹏. 著名数学家丘成桐受聘我校荣誉教授. ZFH (编辑). 中北大学. 2009年6月18日 [2018年5月6日]. （原始内容 (shtml)存档于2011年7月7日） （中文（中国大陆）‎）. ^ 靖咏安. 中科院外籍院士丘成桐受聘我校名誉教授. 华中科技大学. 2006年1月15日 [2009年1月1日]. （原始内容 (shtml)存档于2011年7月23日） （中文（中国大陆）‎）.